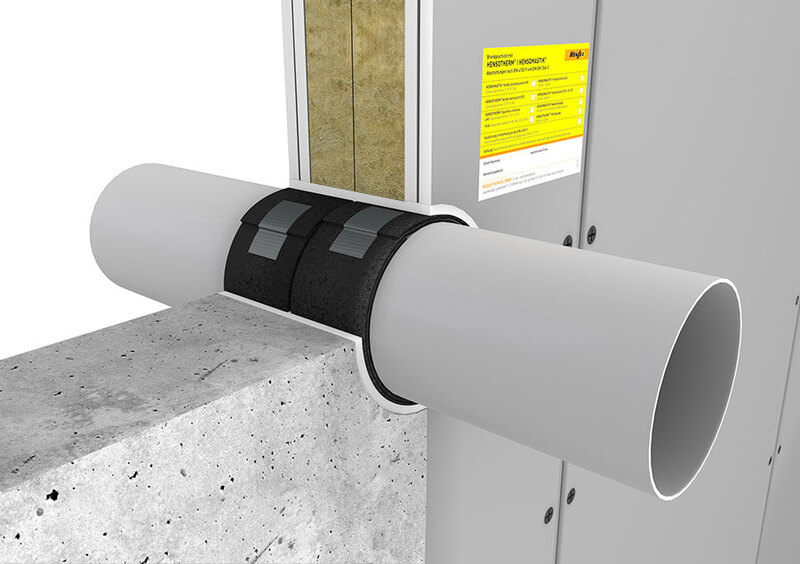 HENSOTHERM® 7 KS Gewebe 50 is designed as an endless pipe collar for sealing single pipe penetrations. 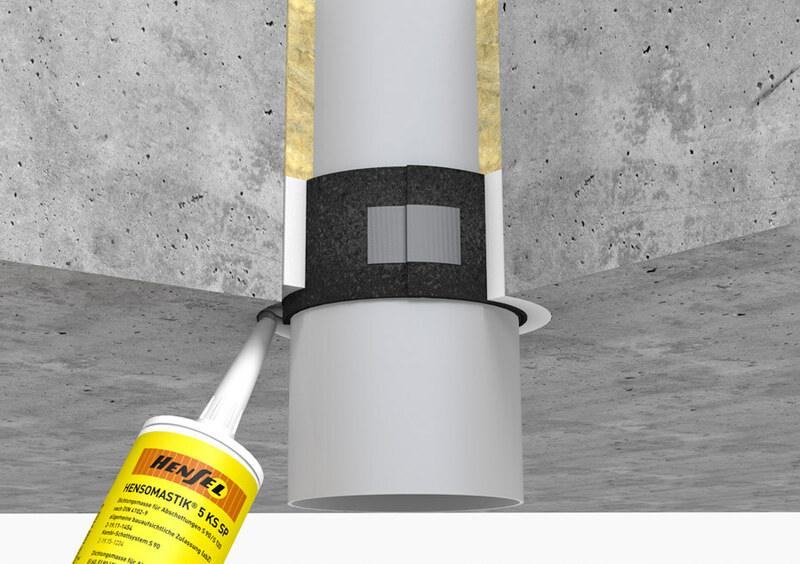 It can be used to seal combustible and non-combustible pipes insulated with synthetic rubber in solid floors > 150 mm and in solid and flexible walls > 100 mm up to a fire resistance class of EI 240. The pipes’ component seal (annular gap) is filled with HENSOTHERM® 7 KS Gewebe 50 and HENSOMASTIK® 5 KS SP (cartridge filler), depending on the pipe type. Alternatively, the annular gap can be filled with plaster or mortar (A1). Further applications of the endless pipe collar HENSOTHERM® 7 KS Gewebe 50 in HENSOMASTIK® Mixed Penetration Seal EI 60 and EI 90 / EI 120.